HelloFresh, Hubble Contacts, the Society for Human Resource Management, Hebrew National, ReddiWip, Untuckit, and Volvo have joined a growing list of companies that have distanced themselves from Sean Hannity’s Fox News program by either removing their ads or indicating that they will not advertise on his show in the future. The Society for Human Resource Management went a step further and ceased advertising on Fox News entirely. The departures come as Hannity continues to run interference for Roy Moore by undermining and maligning the women who spoke out against the Alabama Senate candidate. Today HelloFresh tweeted that it does “not advertise on or around Sean Hannity's shows” and suggested that any ads that ran on Hannity's show were run in error. Hubble, one of Hannity’s most frequent advertisers, reported that it had "no future plans to advertise on Hannity." The Society for Human Resources Management tweeted “As of Friday, November 10th @SHRM is not running ads on Fox.” ReddiWip and Hebrew National each tweeted that they “removed Hannity” from their advertising plans. At least ten companies have distanced themselves from Hannity’s Fox News program in response to his ongoing public support for Roy Moore, who has been reported for preying on underage girls. 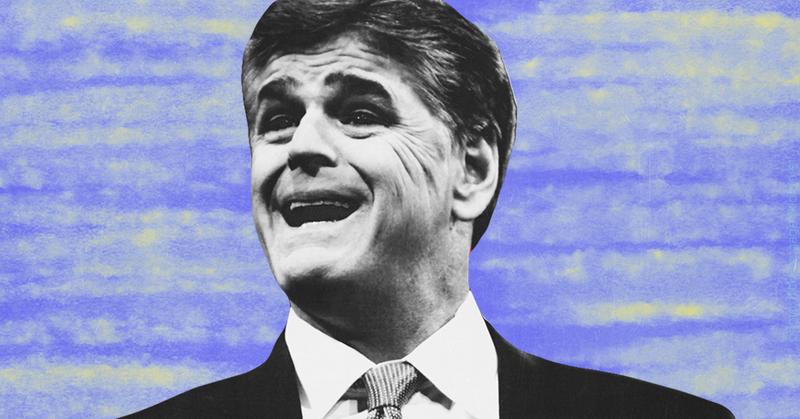 Media Matters has called on Hannity’s advertisers to stop financially supporting his lies and extremism and warned that his volatility made him a business risk. The ten companies reacting to Hannity’s support for Moore join Cadillac and E-Trade, among other brands, that no longer wish to be associated with the Fox host. Hannity’s advertiser losses from the late summer are part of the reason Fox News’ ad revenue dropped a whopping 17 percent in September 2017 as compared to September 2016, while CNN’s dipped 1 percent and MSNBC’s increased 2 percent. HERE are Sean Hannity's current advertisers.